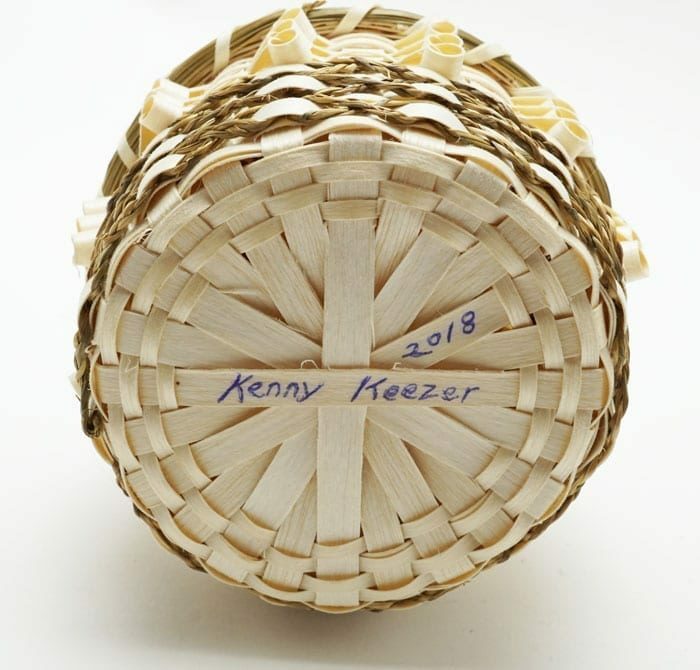 Kenny Keezer is the youngest son of famed basket maker Clara Keezer. 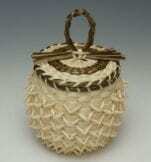 He is a member of the Passamaquoddy tribe of Maine, one of the four tribes of the Wabanaki Alliance. 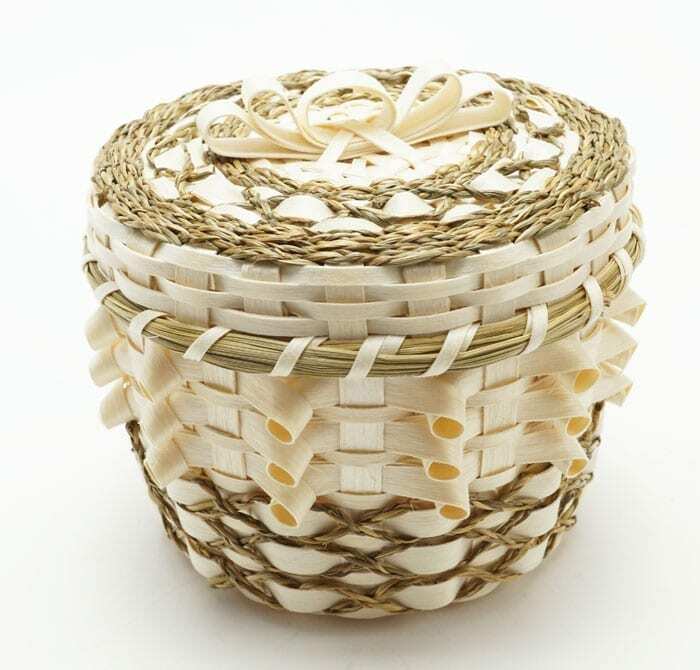 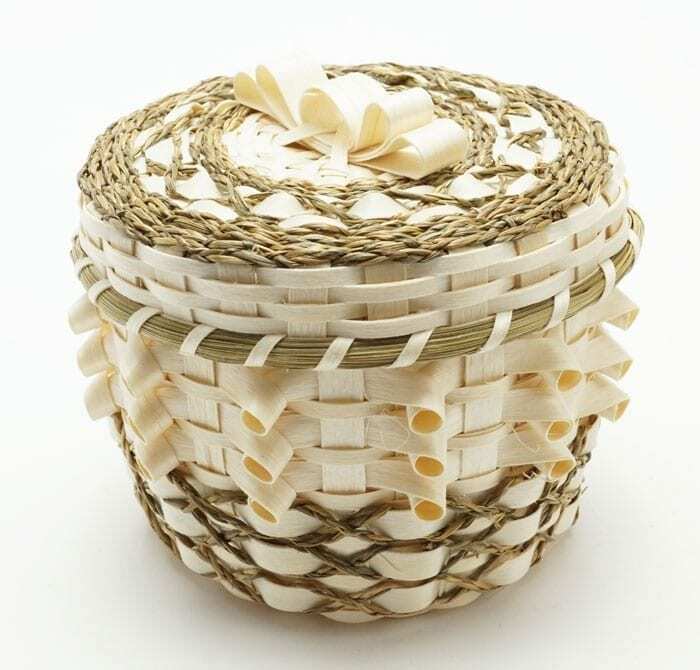 This basket is woven from naturally colored brown ash and sweetgrass. Size: 4 in. 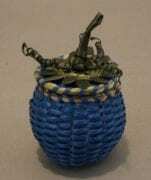 diameter; 3 1/2 in. 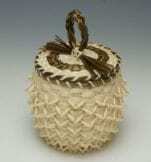 high, including finial.